The coal industry and its allies wasted no time initiating legal challenges against the regulations, which were published last week. The coal industry is making what could be its last bid to maintain its relevance in the United States. On Friday, immediately after the Obama Administration published the final version of a rule limiting greenhouse gas emissions from existing power plants, opponents let loose a torrent of lawsuits. 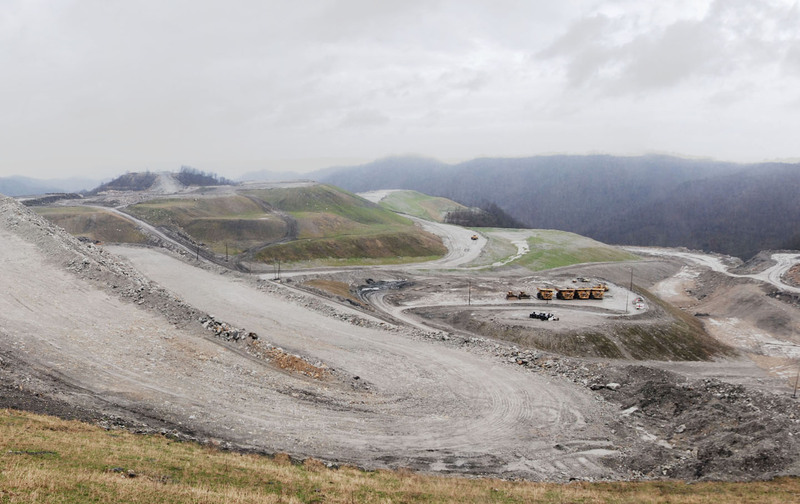 Calling the rule a “blatant and unprecedented attack on coal,” West Virginia Attorney General Patrick Morrisey along with 23 other state attorneys general asked the US Court of Appeals to block the regulation. All but two of the officials are Republicans; most represent states that produce coal or rely on it for electricity generation. At least 16 other petitions for review were filed Friday, primarily by coal interests and their allies. Several asked the court to block the regulations immediately until the legal battles have been decided. The petitioners include the Chamber of Commerce, the National Mining Association, United Mine Workers of America, Murray Energy, a coalition of electrical cooperatives, the International Brotherhood of Boilermakers, and the American Public Power Association. More are expected to file in coming weeks. Challenges to the rule, which seeks an overall emissions reduction of 32 percent from 2005 levels by 2030, are not a surprise. States filed a suit against the draft regulations back in June, but a judge ruled that they were “champing at the bit” and had to wait until the final proposal was published. The petitions filed Friday aren’t detailed, but the motions to stay give hints about the arguments opponents will make against the rule: that it “runs roughshod over States’ sovereign rights,” as the state attorneys general claim; that the EPA cannot impose carbon limits on power plants under the Clean Air Act because the agency already regulates their mercury emissions under another section of the Act; and that the EPA cannot develop a plan based on emission reductions “outside the fence” of individual power plants. That latter argument may be the most significant. One of the key elements of the Clean Power Plan is that it allows states to look for ways to reduce emissions throughout the electricity system, not just at power plants themselves. By including potential reductions from renewable-energy generation and energy efficiency in the plan, the EPA can hold states to higher standards than if it only considered technological improvements to power plants. Opponents of the plan argue that the agency only has the authority to set performance standards for individual plants. Certainly the coal industry can argue that it’s suffered real blows in recent years—closed mines, plummeting stock prices, a wave of bankruptcies—but the downward trend isn’t likely to reverse itself even if Big Coal wins in court. Cheap natural gas and increasingly affordable solar and wind power have driven down the demand for coal and made it prohibitively expensive to mine. Gas and renewable prices could rise, but investors have already recognized that coal is a liability. The transformation of the country’s electricity sector has been underway for some time; the Clean Power Plan didn’t start it, though it may help to bring recalcitrant regions along with the cleaner trend.